Hello everyone, it is Larissa with a another post on the Gerda Steiner designs blog. 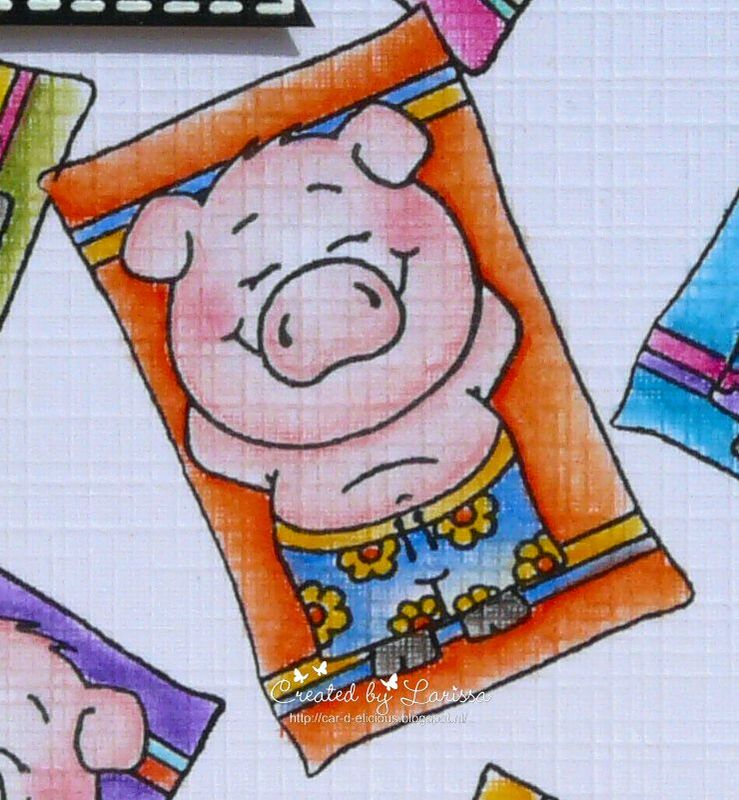 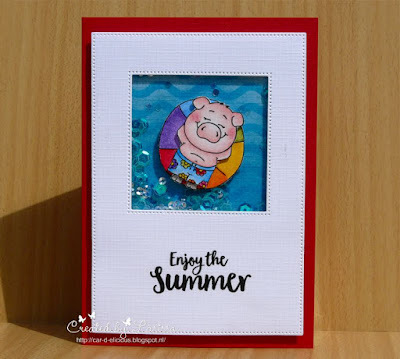 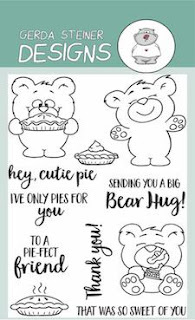 Today is my last post with a card made with the Pool piggies. 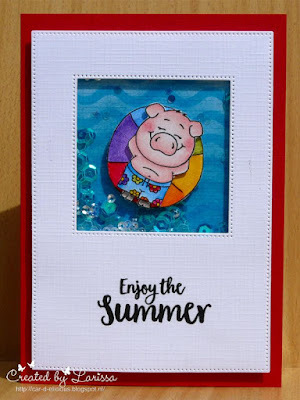 I really had fun making these 4 cards with the Pool piggies. 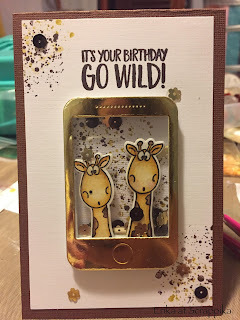 Thanks so much Gerda and Macy for asking me as a guestdesigner! 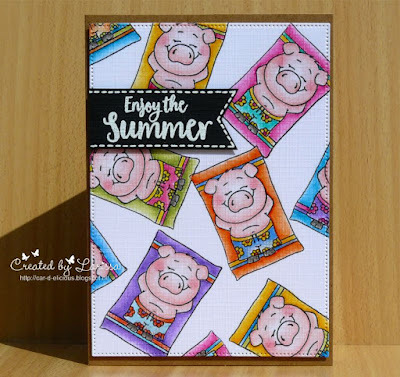 My last card is a shakercard. 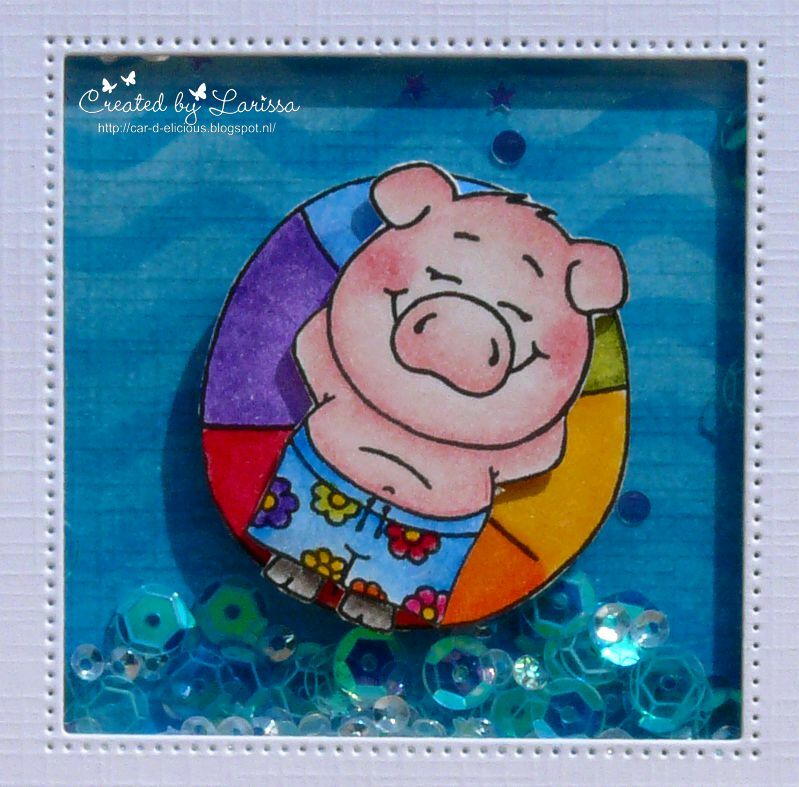 A pool piggie has to be in a swimming pool on a pool ring. 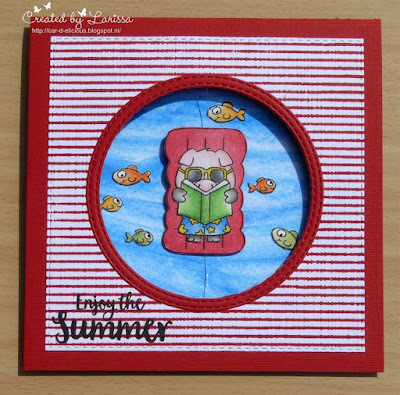 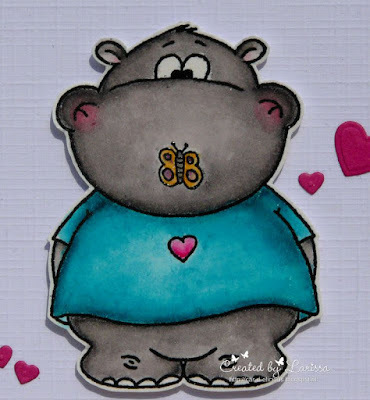 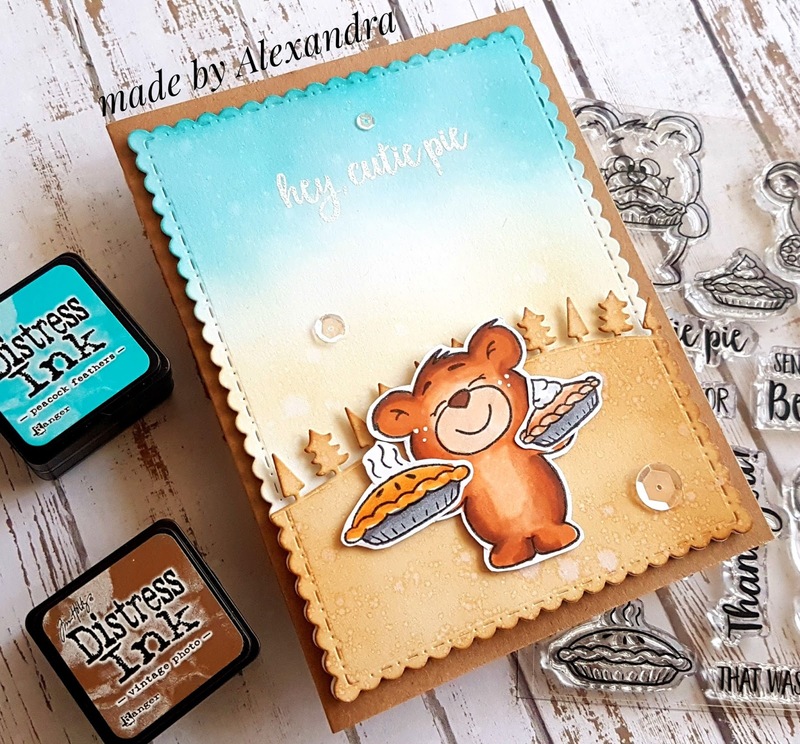 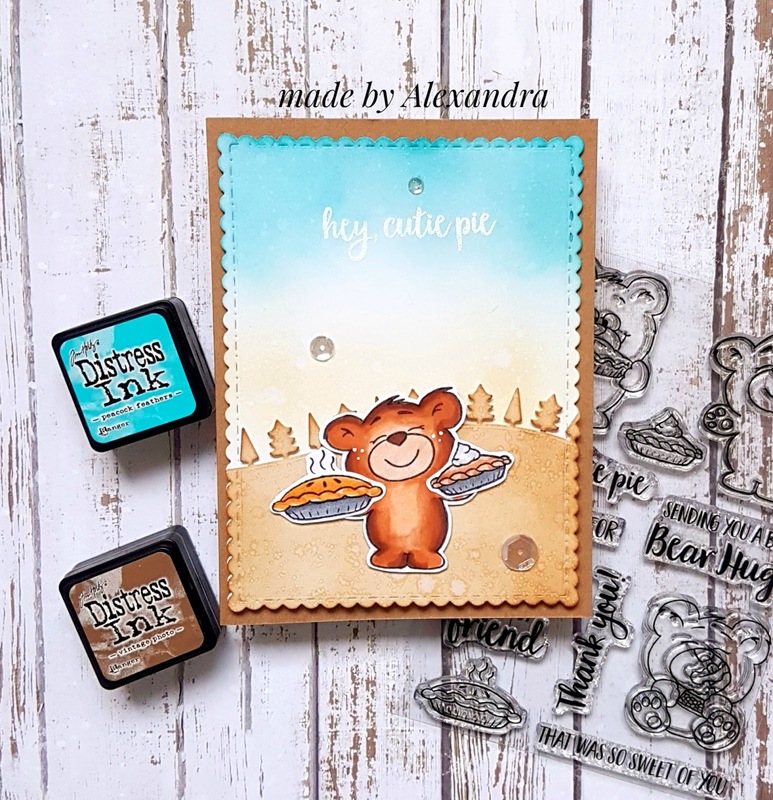 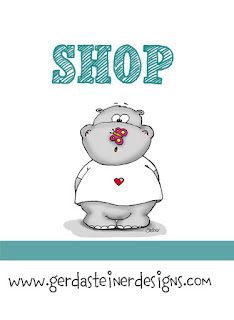 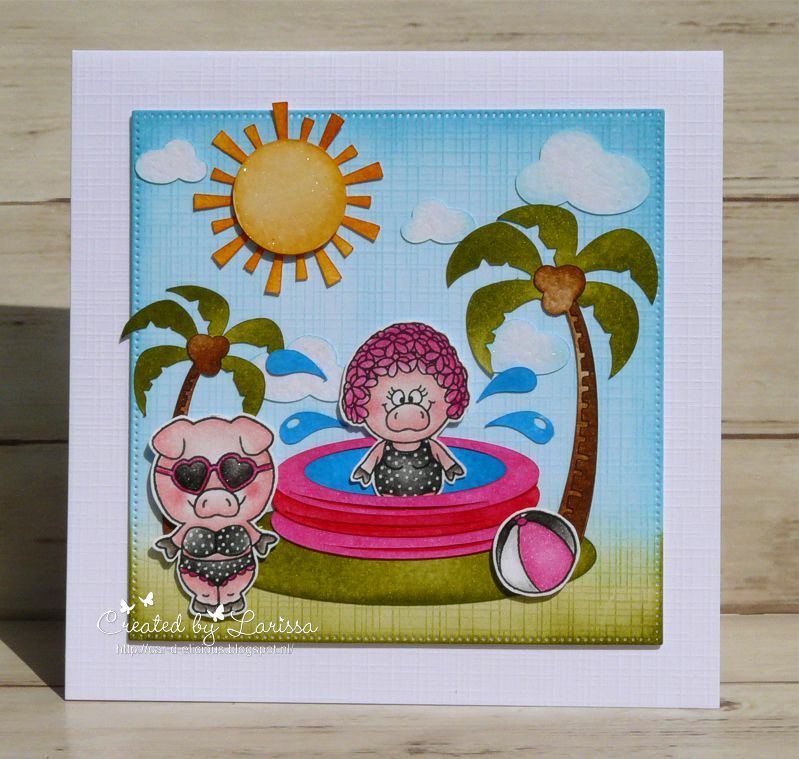 For this card I stamped a piggie and the poolring from the stampset Pool piggies from Gerda Steiner designs. 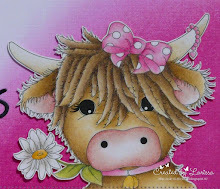 I have coloured the images with my Polychromos pencils and then I fussy cut the images. I adhered them on top of each other with foamtape. 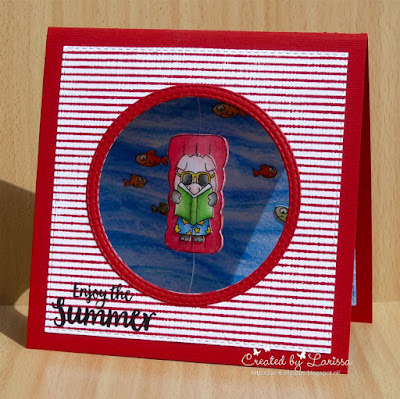 From white cardstock I cut a rectangle panel with a square hole in it with the Crea-nest-lies XXL 44 & 50 from Crealies. I adhered a piece of plastic sheet behind the window. 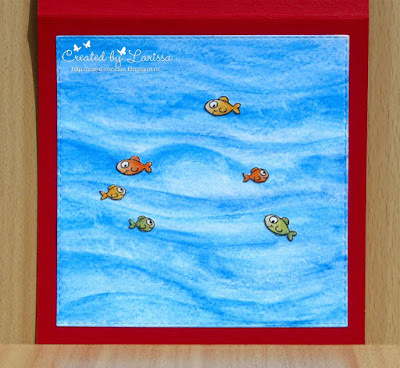 On a piece of cardstock I made a background with the following colours of distress ink: Tumbled glass, Broken china, Salty ocean and Mermaid lagoon distress ink. Then I went over the background again with Mermaid lagoon distress ink and the Curved lines stencil from Create a smile. This way I got a pretty water background. I adhered foamtape on the white panel and filled my shaker with Sparkling clear sequins 3mm from Pretty pink posh and Blue sequins from Witte boekhandel (a Dutch store). 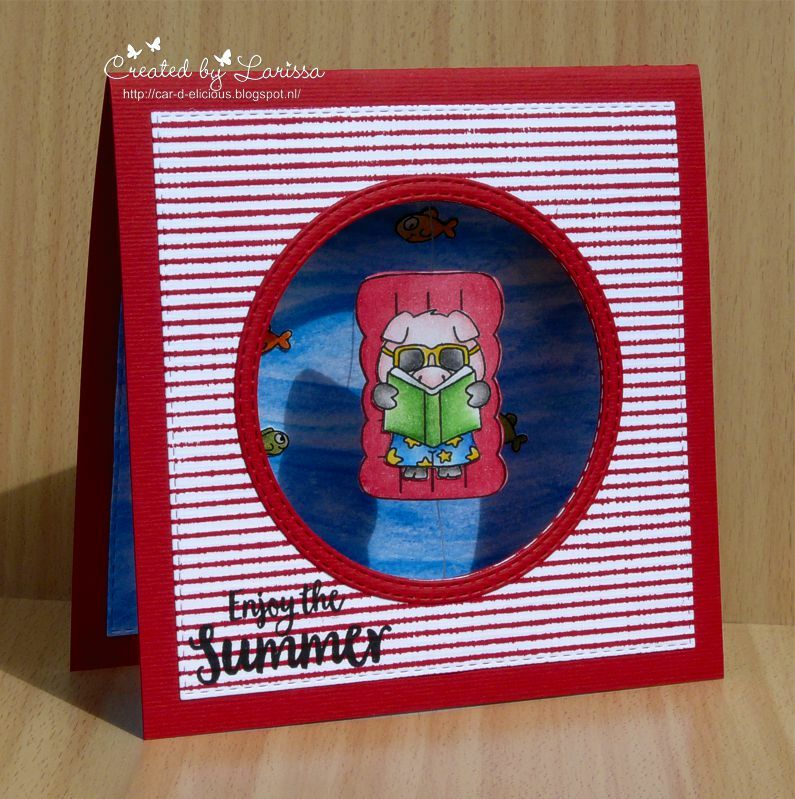 I adhered the white panel on a red card. 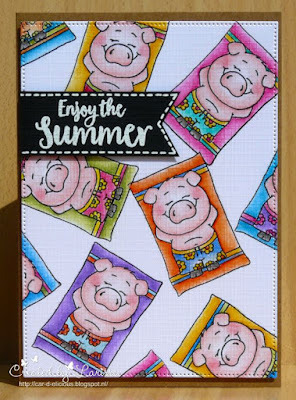 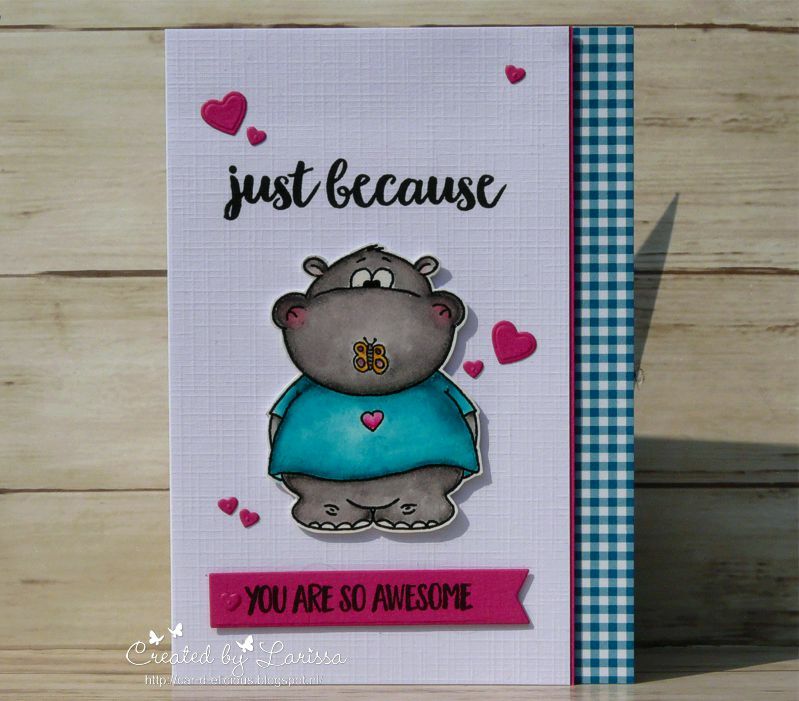 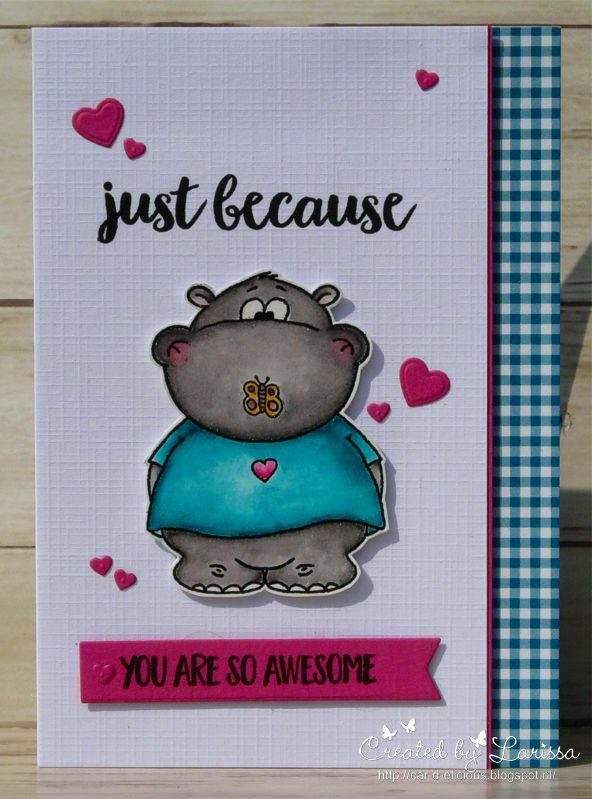 The sentiment is from the set Pool piggies from Gerda Steiner designs and I stamped it below the shakerpart. 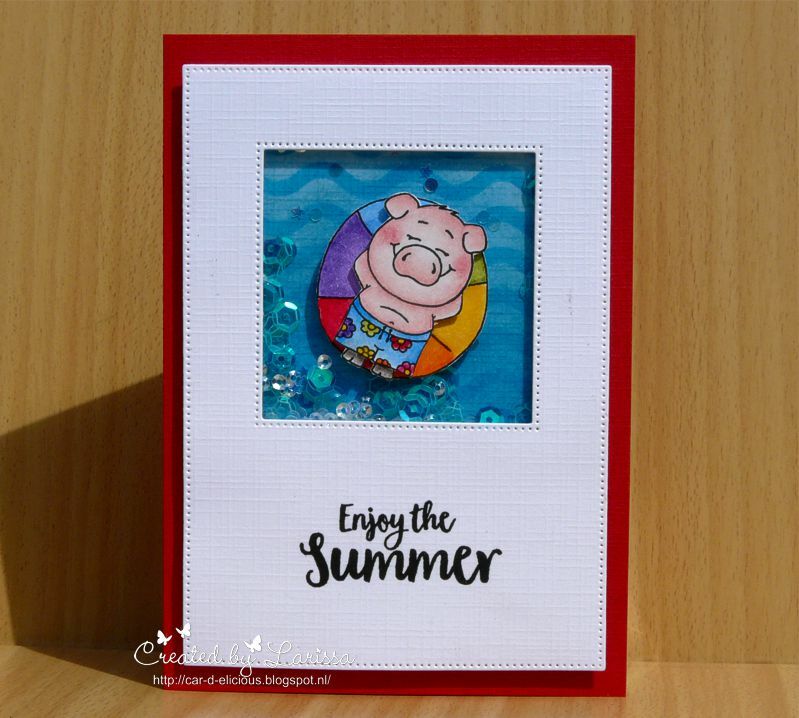 Then I adhered the piggy onto the swimming pool and my card is done. 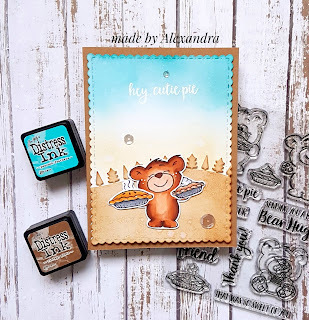 INK: Versafine onyx black, Tumbled glass, Broken china, Salty ocean and Mermaid lagoon distress ink. 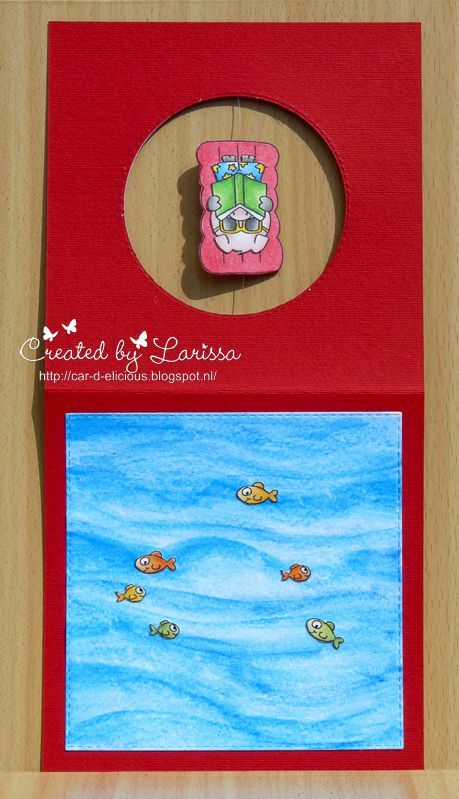 DIES: Crea-nest-lies XXL 44 & 50 from Crealies.